Drain and rinse the chickpeas to remove the excess salt. Set aside in the strainer to dry. 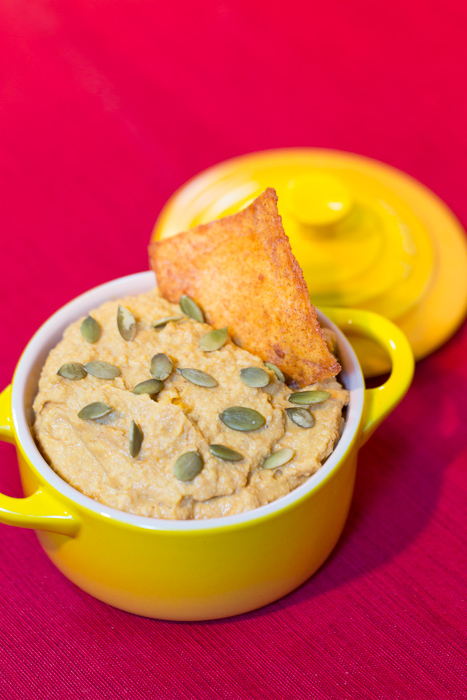 Puree the chickpeas, pumpkin, tahini, olive oil, lemon juice, cumin and cinnamon in a food processor or with an immersion blender until smooth. Season with salt to taste. Top with the pepitas before serving.